Glad that… My ladies Bible study at church is back for the last study of this season. We did two last fall and one so far this winter (Armor of God by Priscilla Shirer) and now we’ve started our last one till we break for the summer. 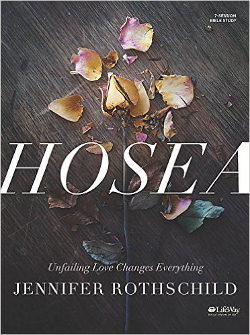 It’s “Hosea” by Jennifer Rothschild and I’m betting it’s going to be another good one. Love the title, Hosea: Unfailing Love Changes Everything! Book I’m reading: Last week, I had started on the third book in the Wings of the Nightingale series by Sarah Sundin, called “In Perfect Time“. I had a slower week in reading! It took me a lot longer to finish this one, but I did, and I thoroughly enjoyed it. This was a good trilogy, overlapping characters and a very satisfying finish (aka, happy ending) for each of the three main characters and storylines. I started a new one, an older book I had downloaded a while back and not gotten to. It’s called “A Table by the Window” and is by Lawanna Blackwell. She sets most of it in fictional Tallulah, MS, and even though I’m not even half way through with it, I’m really enjoying reading about my home through some one else’s eyes. 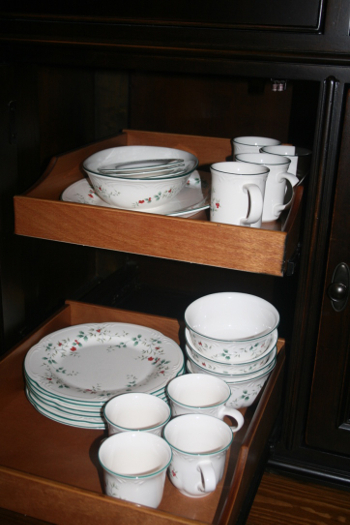 And admittedly, enjoying the parts she gets right (places, tidbits, details) and the things that aren’t quite right. Like, so far, she keeps talking about how cold it is here, well below freezing, and let me tell you, that doesn’t happen much here! Things we ate: Monday, I tried to fix something moderately healthy. We had kettle crusted cod, roasted veggies and cranberry/feta couscous. Tuesday, I tried something completely new, but it was a big hit here. Marinated chicken for souvlaki to have in pita pockets with tzatziki, red onion, feta and kalamata olives. We also had pita mozz and grilled romaine. 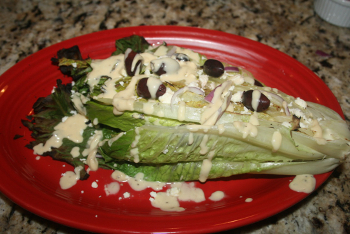 The romaine, I turned into a greek caesar, with the same stuff from the pitas (red onion, feta, kalamata olives, topped with caesar dressing). Delicious! Wednesday, I found some thick cut butcher’s bacon marked down at the grocery, so we had breakfast for dinner again (eggs in purgatory, bacon, grits, same ole, same ole!). Thursday, we had more Greek salad with grilled romaine. I followed last week’s trend of junk food for Fridays, so we had wings (some leftover in the freezer from the Super Bowl) and another big salad (this one with apple, toasted walnuts, craisins and cheddar). Saturday we ate out lunch at a Mexican place and then had leftovers both Saturday night and Sunday. TV and Movies: Mostly just regular tv shows. The time has changed though, so Tim is later getting in each night from the golf course, so we will start getting behind on our shows. We had two movies from the library.. one old one (Avatar) and one new one (Woman in Gold). I asked all week for Tim to watch Woman in Gold with me and finally, on Thursday night, he said “I’m not interested in it, you go ahead and watch it without me”. So I put it in the blu-ray late Friday afternoon, and guess who meandered into the room and ended up watching about 3/4 of it with me? 😀 We watched Avatar Friday night. We’d seen it once at the theater, I think 9 years ago or maybe 7, when it first came out and probably once since. I had forgotten most of it and it was very visually stunning in blu-ray. I’m finishing up Major Crimes on my own, Tim gave up on that one with me also. And I’m personally looking forward to the new season of Dancing with the Stars that starts on Monday 3/21. I have an Instagram account, but I always forget to use it! I’ve never used Twitter. But I do use Facebook to keep up with my family who lives far away.